The 2nd Guards Motor Rifle "Tamanskaya" Division named after M.I. Kalinin (Russian: 2-я гвардейская мотострелковая Таманская ордена Октябрьской Революции Краснознаменная ордена Суворова дивизия имени М. И. Калинина), commonly known as the Taman Division, is an elite Guards armoured division of the Russian Ground Forces. The 2nd Guards Motor Rifle Division was formed in 1941, seeing extensive combat during World War II for which it became one of the most famous and decorated formations in the Soviet military. It was named in honor of Mikhail Kalinin and the town of Taman, remaining intact until it was disbanded in 2009, before being reformed in 2013. Since 2016, it is part of the 1st Guards Tank Army of the Western Military District, and most of its units are based in the town of Kalininets, Moscow Oblast, 45 kilometers (28 mi) south-west of Moscow. The 127th Rifle Division was formed 8 June 1940 in Kharkiv, on the base of the 23rd Rifle Division which was just transferred to participate in the imminent Soviet occupation of the Baltic states (1940). The division was initially garrisoning Kharkiv, Chuhuiv and Bohodukhiv. It was transferred to Rzhyshchiv in May 1941. The 127th Rifle Division was with 19th Army's 25th Rifle Corps, along with 134th and 162nd Rifle Divisions on June 22, 1941. It formed part of the High Command reserve. By August, it was with the Front troops of the Soviet Reserve Front. After the other division of 25th Rifle corps (134th and 162nd) were shattered on arrival to south-east outskirts of Vitebsk during 11–16 July 1941, the 127th division was re-routed to south-east of Smolensk and reassigned to 34th Rifle corps. At that time, the 535th Rifle Regiment has lost its way and ended up been incorporated into the Leningrad Front. 4 August 1941, the 127th division has traversed Dnieper river 13 km south of Yartsevo as part of the general Soviet retreat. Afterwards, it was relieved of front line duty and sent to Dorogobuzh for replenishment, where it received a 875th Rifle Regiment from the 158th rifle division. For distinguished combat service, the division was renamed to 2nd Guards Rifle Division 18 September 1941. At the end of September 1941, it fought in Hlukhiv area, retreating toward Kleven river as part of the General A. N. Ermakov's operational group of the Bryansk Front. 3 October 1941 the division was transferred to Kursk area and fought a defensive battle around Tim town. 22 December 1941, the division has started to advance as a hart of Winter Campaign of 1941–42. Acting together with the 1st Guards Rifle Division and 87th Rifle Division, it advanced through Cheremisinovo51°53′N 37°16′E﻿ / ﻿51.88°N 37.26°E﻿ / 51.88; 37.26 and Sovetsky districts of the Kursk Oblast. By 28 January 1942, the division was located in Stary Oskol. After participating in the Novorossiysk-Taman offensive in September–October 1943, the division was renamed to 2nd Guards (Tamanskaya) Motor Rifle Division after the city of Taman, Russia. Starting from 3 November 1943, the division acted in the spearhead of Kerch-Eltigen Operation in northern Yenikale (Ganikale) beachhead, under the command of the 56th army. During the Crimean Offensive the division has liberated Alushta city 15 April 1944, acting under command of Separate Coastal Army. 19 May 1944 it was relieved from the front line duty, reassigned to the Soviet Strategic Reserve, 2nd Guards Army and transferred to Dorogobuzh for replenishment. It restarted combat operations 8 July 1944 after the 2nd Guards Army was given to the 1st Baltic Front. The division participated in Šiauliai Offensive and later in October 1944 – in Battle of Memel. In December 1944, the entire army including the 2nd Guards Motor Rifle Division was transferred to 3rd Belorussian Front and participated in the East Prussian Offensive, ending the war in middle April 1945 on the Baltic Sea coast north of Primorsk. On 2 July 1946, the division received the honorific "named after M. I. Kalinin." The division was called to Moscow for security duties following the death of Joseph Stalin on 5 March 1953. In December 1953, the division was renamed to 23rd Guards Tamanskaya Mechanised Division. In March 1957, the division was renamed to 23rd Guards Tamanskaya Motor Rifle Division. 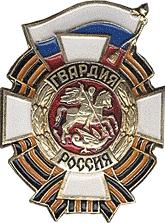 In November 1964, the division was renamed to 2nd Guards Tamanskaya Motor Rifle Division. The division has played a prominent role in two of the major political crises of recent Soviet and Russian history. In 1991, it was one of the divisions deployed in Moscow as part of the hardline coup attempt against the Soviet President Mikhail Gorbachev; however, it was a tank unit attached to the division that switched sides at the decisive point in the coup's course. Boris Yeltsin delivered a speech standing on top of tank no. 110, strengthening his own position significantly, both domestically and abroad. Two years later, the division once again came to Yeltsin's rescue, during the 1993 Russian constitutional crisis. The stand-off between the Russian Parliament and Yeltsin, against the backdrop of massive public demonstrations in Moscow against Yeltsin's government, had by the 2 October brought Russia to the brink of civil war. Between 2 and 4 October, the army considered its position. By sunrise of the 4th, they had given their support to Yeltsin. That day, tanks from the Tamanskaya Division opened fire on the Parliament building, where the Parliament's supporters were barricaded. This episode consolidated Yeltsin's power; it was the deadliest street fighting in Moscow since 1917. Since then, the division has seen service in Chechnya: it is known to have contributed to the force that brought the republic back under Russian control in 1999 and 2000, during the Second Chechen War. A 'tactical group' from the 15th Guards Motor Rifle Regiment deployed to Chechnya in early 2000, serving in the south of the republic and the Argun Gorge after the end of major combat operations to maintain security. In 2004, it was visited by a delegation of foreign military attaches. The Kalininets base has also recently provided the venue for the Miss Russian Army contest. The division was deployed in the Moscow Military District, based near Aprelevka, in the Moscow suburbs: its various subunits occupied a vast complex of buildings and sites to the north and northwest of the town. The two most important 'sub-bases' in the area are Kalininets and Kobyakovo. It was one of the Russian Army's 'constant readiness' divisions, meaning that it was required to have at least 80% manpower and 100% equipment strength at all times; it was thus intended to be readily deployable. On the 22 January 2007, the Russian news agency Interfax reported comments from the commander of the Moscow Military District, Col. General Vladimir Bakin. He stated that the Tamanskaya Division's 1st Guards Motor Rifle Regiment had been re-equipped with a battalion of T-90 main battle tanks, replacing its old T-80s, a battalion of BTR-80 armoured personnel carriers (this presumably refers to the modernised BTR-80A variant, which has improved firepower and armour, among other things), as well as a battalion of new self-propelled howitzers and 'C2' command and control systems. Bakin also said that the regiment's 3rd Battalion had begun re-equipping with the BMP-3 infantry fighting vehicle, of which the regiment as a whole was due to receive 129 by the end of the year. Furthermore, according to Interfax: "Bakin stated that the First Guards Regiment had already undergone training for operating new materiel. "The regiment was the first in the Russian army to successfully master new arms and materiel. Last year, the regimental personnel were graded highly on their performance, he said." This rearmament may represent the first publicly known deployment of the T-90 in the Russian Army outside of the 5th Guards 'Don' Tank Division, based at Kyakhta in the Siberian Military District, which has been entirely equipped with such tanks in recent years. There have been rumours in circulation for some time now that all the T-90s currently in service were to be accumulated in the Tamanskaya Division, but these rumours lack reliable sources. If any such move is to occur, it may take place in 2007, but January's partial rearmament of the division does not seem to signal the beginning of such a move, since the T-90s and other modern armoured vehicles now with the division are newly purchased ones. The division has been slated for disbandment in 2009, with two brigades being created from its existing subunits. Each brigade will include about 7,500 personnel with one mounted on BMP-3 tracked vehicles while the other using BTR-80 and BTR-90 wheeled vehicles. The two brigades, according to Warfare.ru, are the 5th Separate Guards Motor Rifle Brigade in the Moscow Military District, and the 8th Separate Guards Mountain Motor Rifle Brigade in Chechniya. The division was disbanded in mid-2009, being split into two new motor rifle brigades. After 2009, the main successor of the division was the 5th Guards Separate, Order of the October Revolution, Red Banner, Order of Suvorov Brigade named after Kalinin. The division was re-formed in 2013 by order of Russian defense minister Sergei Shoigu, and will consist of the 5th Separate Motor-Rifle Brigade, the 4th Independent Tank Brigade and other unnamed units. This order is pursuant to Russian President Vladimir Putin's intention to "strengthen the historical continuity" of the Russian Armed Forces by resurrecting the names of "famous, legendary units and formations of the Russian and Soviet armies". Another division, the 4th Guards Kantemirovskaya Tank Division was also reinstated under the same order. As of June 2015, the Russian Armed Forces are planning to rebuild the famous Soviet era 1st Guards Red Banner Tank Army by including the 2nd Guards Motor Rifle Division, 4th Guards Tank Division, as well as one tank and rifle brigade. The decree providing for the reformation of the force was enacted in the winter of 2014, and its now a part of the Western Military District. Unlike the original 1st GTA, the 2nd Guards Motor Rifle Division forms a part of the revived army, based in Moscow Oblast. 15th Guards Motor Rifle Regiment. The commander of the Taman Division is Major-General (Guards) Alexander Semyonovich Sanchik (Russian: Александр Семенович Санчик). Most often, the Taman Division is referred to as military unit 23626. However, several regiments have its own number. Military unit No. 23626, 31134, 21626, 31135, 61896, 51387, 61896, 73881 are all regiments in the Taman division. Although some ethnic Russians are in the unit, the unit has many persons from the Caucasus. Selyatino has the hospital for the units at Kalininets. The Taman Division will deploy in May 2018. Overall, the division numbered around 12,000 soldiers. Its principal vehicles were the T-90 and T-80 main battle tanks, BTR-80 armoured personnel carrier and the BMP-2 and BMP-3 infantry fighting vehicles. From January 1992 until 2009, the 1st Guards Tank Chertkovsky Regiment was part of the 2nd Tamanskaya Guards Motor Rifle Division. During the reforms of Defence Minister Anatoly Serdyukov, the 1st Guards Tank Regiment along with the Taman Division was disbanded. Beginning in 2020, the 1st Guards Tank Chertkovsky Regiment (formed late 2016) of the 2nd Tamanskaya Guards Motor Rifle Division will be one of the first units to be re-armed with the new T-14 Armata (Russian: Т-14 «Армата») main battle tank from Uralvagonzavod, part of Rostec. As of May 2017, the unit is equipped with the T-72B3. The 1st Guards Tank Chertkovsky Regiment has always been at the point of the spear taking on the most difficult situations. Many officers from the Chertkovsky Regiment subsequently take top positions in the Ministry of Defense. In Tom Clancy's 1986 novel Red Storm Rising, the division offers token resistance to a coup d'état by the Soviet Army and the KGB against the Politburo. In Frederick Forsyth's 1996 novel Icon (novel), the tank division prevents success of a coup d'état by the main antagonist. This page incorporates material from the Russian Wikipedia pages 127-я стрелковая_дивизия (1-го формирования) and 2-я гвардейская стрелковая дивизия, accessed 2 October 2016. ^ Kramnik, Ilya (24 November 2008). "Russia to overhaul its most famous army divisions". Sputnik. Retrieved 6 April 2017. ^ "Экипажи Т-72Б3 и БМП-2 Таманской мотострелковой дивизии выполнят упражнения учебных стрельб в Подмосковье". Пресс-служба Западного военного округа (in Russian). 2016-12-07. Retrieved 2016-12-22. ^ a b "Таманская дивизия отметила 75-ю годовщину со дня формирования". Пресс-служба Западного военного округа (in Russian). 2015-07-21. Retrieved 2016-12-22. ^ "Сдали без боя" (in Russian). lenta.ru. 2008-10-28. Retrieved 2016-12-22. ^ "Участник боевых действий в Сирии понес посильное наказание". 19 May 2017. p. 6. Retrieved 2 April 2018 – via Kommersant. ^ "Moscow MD". fas.org. Archived from the original on 2007-09-29. Retrieved 2 April 2018. ^ "warfare.be". warfare.be. Retrieved 2 April 2018. ^ "Таманскую мотострелковую дивизию расформируют". lenta.ru. Retrieved 2 April 2018. ^ a b c d e f "Taman Division" (in Russian). Golitsyno website. Archived from the original on 2018-03-21. Retrieved March 20, 2018. ^ "Russia has recreated the famous Soviet era Tank Army". Al-Masdar News. June 11, 2015. Retrieved June 13, 2015. ^ a b c d e Surkov, Nicolai (12 May 2017). "Первые «Арматы» получат таманцы: Танки нового поколения начнут поступать на вооружение после 2020 года" [The first "Armata" will be Taman: Tanks of the new generation will begin to enter service after 2020] (in Russian). Izvestia. Retrieved 8 March 2018. ^ a b "В Московской области сформирован новый танковый полк – преемник легендарного соединения времён Великой Отечественной войны" [In the Moscow region, a new tank regiment was formed – the successor to the legendary connection of the times of the Great Patriotic War] (in Russian). Ministry of Defense of the Russian Federation (Ministry of Defense of Russia). 21 December 2016. Retrieved 8 March 2018. This page was last edited on 22 April 2019, at 08:02 (UTC).